Snorting is defined as when someone inhales the powdered form of illegal drugs and particularly cocaine. There are millions of people doing drugs around the world. Teens are among these. This is not limited to just cocaine, heroin and other illegal drugs, they also take alcohol. 70% of the Teens of 12th grade have once tried alcohol in their life whereas 38% are those who drank in the last month. According to a study, there are around 4500 deaths due to drugs every year and most of them are teens. The school kids do drugs and snorting. The same study also found 35% of school students drink once every month while 22% teens rode in someone’s car to drink. That means, it is not about drinking, the teens are also physical with fellow students and even seniors. Shockingly, 10% teens confessed they drove after sniffing and drinking and many. When we talk about snorting, this is a serious problem for teens. Many parents are worried about their teens and believe this is a major concern for them. And the even bigger problem is when most of the parents can never figure out. They need to protect them and keep an eye on their hidden activities. And know if their teens are snorting. There are no obvious ways or signs to trace it. We will talk about it as well that how parents can know if their kid is snorting, what are the signs and what parents can do in this regard. Why Teens Do Snorting and Other Drugs? A college student who just attended his school back after rehabilitation revealed shocking details. According to the teen, he went to a party with friends. He never knew the friends had been doing snorting because he could not figure out. When the entered the hall, he was taken to a separate room. There were four to five people and three of his friends. They forced him for snorting and he could not resist. As he took a dose, he was relieved. It made him feel really high. The teen continued that sellers sold the first dose is free. He started getting it from friends and a time came when the friends stopped offering in free. He had to then spend a lot of money and even from his pocket to afford the cocaine and other drugs. The sellers demanded a huge amount every time he asked for it. He could achieve nothing but ruined three to four years of his life. His parents once caught him and he was admitted for rehab. The story shows teens get this effect from their friends. This is not just one reason why teens do drugs and snorting. There are many other reasons as well. The medical experts believe genetic is a reason why many teens and kids do drugs and snorting. This is the worst form of drugs because such kids are hard to be treated. They are serious drug abusers and can be dangerous as well. When parents don’t get enough time for their kids and are always busy in personal life, teens become a drug addict. The lack of parental love and involvement is just harmful to every child. The parents who let kids choose friends without knowing about them end up becoming drug addicts. The choice of friends for children is really important and parents must take great care when their children are making friends. If you are living in an area where drugs are common, your teens can become drug addicts. There are higher chances that your teen will be affected by the environment. There have been many cases when teens started taking drugs after they met with people in the neighborhoods. Teens are all race, age groups and locations become drug addicts. Some use alcohol while others do the worse form; snorting. They use cocaine and become really abusive. It is hard to talk to such people and most of the teens who are abusive have no parents or less parental control over them. There are various types of drugs all teens use. Some of the common drugs taken by school children and teens are listed below. Each of these has a different impact and effects. If some of these are taken together, they may kill a teen. How Drugs and Snorting Affect Teens? There are serious effects of drugs on every person. But teens get the severe results and face worst consequences. The harder a drug is, the longer a child or teen will use it. Every drug, whether cocaine or heroin, has lethal impacts on the physical as well as mental health of the kids. Some consequences or effects of the drugs are listed below. Drugs and snorting affect the brain in multiple ways. Some substances release chemicals in the brain that provide pleasure while other drugs block the brain and cause serious pain. When these effects combine, they change the brain in unnatural and harmful ways. As time passes and the teen continues to use drugs, the brain of your teen is permanently tweaked and everything changes from thinking of reacting and talking to people. With high and serious drugs, the teens feel extreme pleasure. This becomes a kind of reward for the brain. When they can’t get drugs and provide pleasure, they become serious. Such people are called drug addicts. Their body, as well as the brain, depends only on drugs and without this, they feel low and lazy. They face depressions and stress if the situation continues. Many teens have committed suicide even after getting enough drugs for use. But they took an overdose and the outcome was death. When it comes to the sign of teen doing or using drugs and snorting, there are two ways to know. First, they will have the tools and equipment needed for drugs. Second, you can spot if there is any change in their behavior, physical as well as mental health. Many teens don’t bring tools and devices with them at home. They have certain places where they keep everything as they are afraid their parents might know about it. However, the physical signs are more helpful to know if your teen is using drugs. Below are some signs that will help all parents find out if their kid is a drug addict or is using drugs in any form. What Parents Can Do Now About Teens? Child of any parents might be taking drugs. Parents have to be really careful in this regard. What parents can do is to be friends with their children, spend time with them, educate them about good and bad things, eat with them, take them out for dinner and fun and keep vigilant eyes on their activities. We have talked about the signs of drug use and they can help any parents notice and find if their child is using drugs in any form. If the parents can’t find anything like this but doubt their kids, they need something to put their suspicions to rest and find the truth. Every worried or concerned parent should know there are other ways to handle such teens. The technology has offered us a lot and it is a kind of blessing. 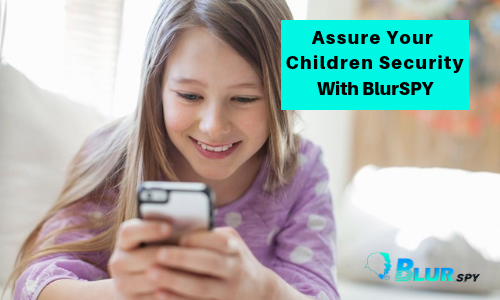 BlurSPY is a parental control app that has been created for parents who want to monitor their kids, keep eyes on their activities and make sure they are safe. With this parents can check the calls of their children and see if they are talking to some strange person or a drug dealer. Parents can monitor their text messages of their children and teens. They will know if they talk to an unknown person, drug dealers or friends who use drugs. This can be really helpful. Parents will know the whereabouts of their teens. The Live GPS Tracker will show all the locations of their children and parents can know if they are visiting any suspicious place or location for drugs. Many teens use social media messengers and apps to communicate with drug dealers or friends who offer them drugs. 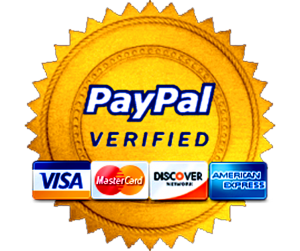 Parents can also hack their Facebook Messenger, WhatsApp, Twitter, Instagram, and other social sites to find the truth. Drugs among teens is a serious and alarming issue for the parents. Even the worse is when many parents don’t know about it. Teens use various forms of drugs and they ruin their lives. It is high time for the parents to check their activities, track them all the time and keep their eyes open. With Android spy software, all parents can figure out if their child is doing drugs and they can take further steps to prevent it.